What happens when the business you’ve been working so hard to build starts to feel… stale? Or what if you love it, but after all this time it still isn’t making the money you need? 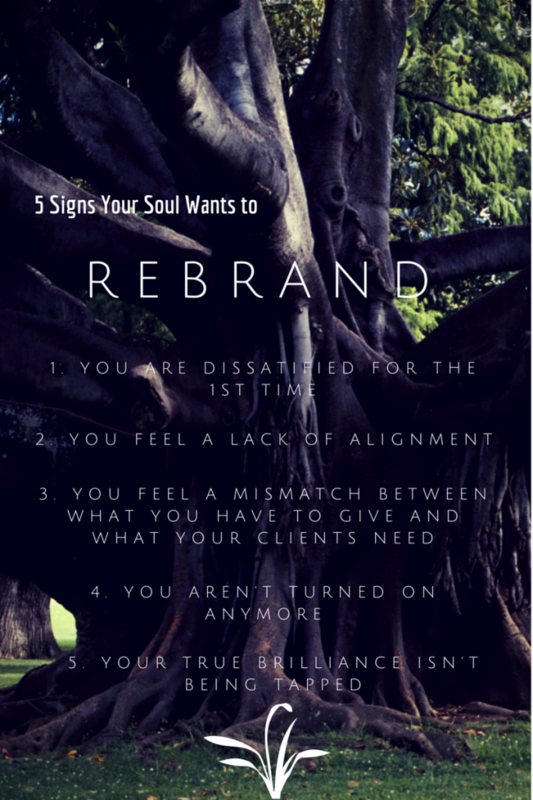 How do you know when it’s time to stick it out, and when it’s time to rebrand? Whether you’re solidly on your path and just need a vital tweak or two (or twelve) to shift your biz into the incredible success it wants to be, whether you want to rebrand and move in a new direction, or whether you’re ready for something completely new, this is big stuff to contemplate…so don’t worry if you feel like you’re swimming in ideas, fears, resistance and excitement. Take a deep breath. Go for a walk. And let yourself start getting curious about what else might want to happen. Help! I Can’t Choose Just ONE Idea! If you need a break from your own thoughts, or want to get ideas from another person’s experience, check out this LIVE example of a Freedomite who reached exactly this point in his journey. Jacob had identified his top 3 talents, but he still couldn’t figure out how to turn any of those into a viable business idea. He had a number of ideas that might work, but he was really stuck on the concept of picking just one idea to start with. As you will see in the video below, Jacob already owns a successful restaurant with a good income, he only works at his restaurant 4-5 hours/day and the rest of the time he golfs, paints, does bone carvings, etc. But he doesn’t FEEL free. He still feels “caged”. Join Coach Ian and I as we brainstorm his business ideas and launch him into crazy passion! NOTE: Because this video is almost 90 minutes, I’ve also made just the audio track available for you as a download to your mp3 player, phone, or iPod. The video is mostly of the 3 of us on a Skype call, but there are a few places where I show you the websites and graphics we’re talking about – so it is valuable to see those, but not crucial.